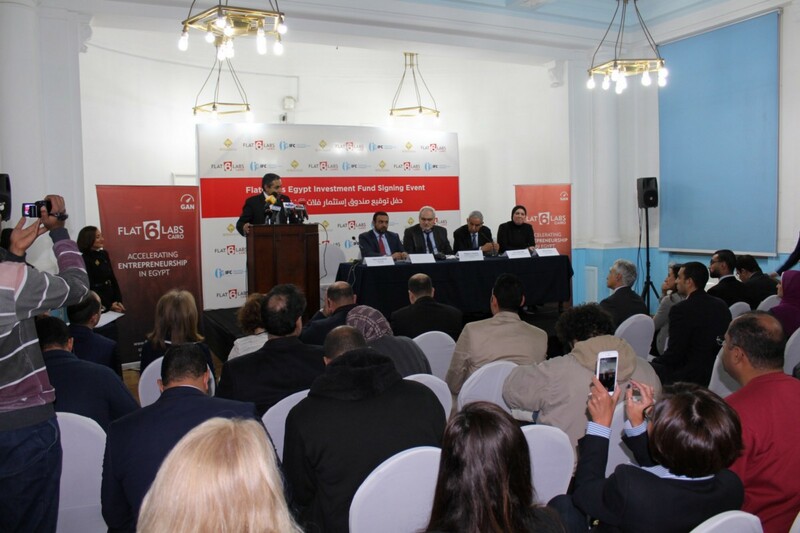 Cairo, Egypt, December 15, 2016 — Flat6Labs, the leading regional early-stage investment company announced today the participation of the International Finance Corporation (IFC)- a member of World Bank Group, through its “Startup Catalyst” initiative, and the Social Fund for Development (SFD) as the lead investors in its EGP 75 million Egypt-focused venture capital seed fund. IFC will provide up to $2 million in equity financing to Flat6Labs Cairo, which will invest in about 100 Egyptian tech startups and support more than 300 entrepreneurs over the next five years. Egypt’s Social Fund for Development (SFD) is another lead investor in Flat6Labs. Through its structured, four-month accelerator program, Flat6Labs will provide seed funding, strategic mentorship, and networking opportunities, helping entrepreneurs and their startups become investment-ready. The Egypt-focused fund managed by Flat6Labs will support up to 20 startups a year with an average seed investment of 350,000 Egyptian pounds, bolstering the startup ecosystem and supporting innovation and job creation. To date, Flat6Labs Cairo has invested in 54 companies, including Instabug, a platform for mobile developers that has attracted more than 400 million users over three years. The business was recognized as one of the top Egyptian startups by Forbes magazine. Small and medium-sized companies in Egypt contribute 75 percent of private sector employment and 25 percent of gross domestic product. Support to SMEs is an important focus area of the World Bank Group’s new Country Partnership Framework for Egypt for 2015–2020, and part of IFC’s strategy that aims to strengthen the country’s private sector and spur job creation through supporting the MSME sector. El-Wafeyat (Taqalid), is an online platform that allows Arab users to browse through and create obituaries and memorial pages which brings important traditions and customs surrounding death into the digital realm. Accelerated by Flat6Labs Cairo in the Summer 2013 cycle, they managed to quickly gain ground and secure a $100,000 follow-on investment from The Cairo Angels. El-Wafeyat is now taking another step ahead in their development as a startup by joining 500Startups in Mountain View, California. “We met Dave McClure -500startups founder- at the MENA Angel Investors Conference in Bahrain organized by Tenmou back in June this year when we were pitching. He said he liked the idea, so we talked to him more at the conference. We then had a few follow-up online meetings, we applied and got the acceptance!” said Yousef ElSammaa Co-founder & CEO of El-Wafeyat. Startups enrolled in 500startups’ program benefit from being exposed to the community, a network of 1,000+ founders and 200+ mentors to help guide them along the way. Constant feed of advice, a curriculum, connections and of course … cash! 500startups has invested $100,000 in El-Wafeyat in seed funding. “It varies, sometimes between $25,000 to $250,000, but usually around a $100,000 range.” McClure told The Daily News Egypt when asked about the investment made in El-Wafeyat. By the time El-Wafeyat finish their program at 500startups, they aim to get a better understanding about their consumers to be able to push toward monetization and expanding regionally. “We’re really learning here every day how to start and manage a business from all aspects. […] Plus its great validation for the business and a great opportunity to network” commented ElSammaa. Leave a Comment on El-Wafeyat Joins 500 Startups!